Back on the Market! 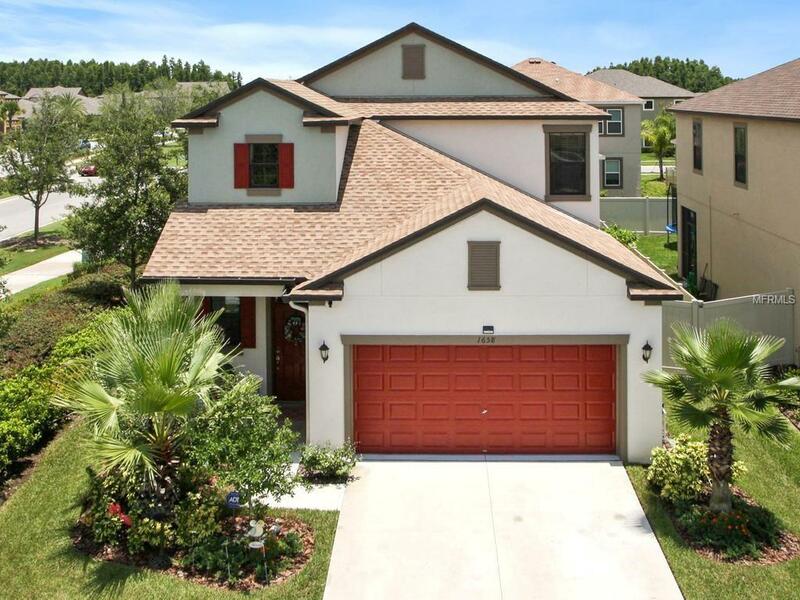 Stunning almost 2500 sq ft home in the highly desired community of Union Park in Wesley Chapel! Beautiful home features 5 bedrooms, 3 bathrooms, plus a spacious loft! It showcases a gourmet kitchen w/ walk-in pantry, granite counter tops, extended cabinetry, & a beautiful kitchen island. Formal dining room opens up into the relaxing family room. Spacious master bedroom is tucked away downstairs in the rear of the home & features dual sinks in the bathroom with a large walk-in closet that is connected to the laundry room. The second floor features four more bedrooms, a large loft and a full bathroom with dual sinks. The 4th & 5th bedroom are separated by another full Jack & Jill bathroom. Enjoy Florida living at its best in your fabulous backyard, boasting an amazing custom outdoor kitchen with custom pergola and custom gas fire pit with a relaxing paved sitting area. This like new home also enjoy fruit trees (lemon & papaya) plus a 100-gallon rain barrel. Located in Wesley Chapel, Union Park is at the heart of it all. Close to nature, top-rate schools, Wiregrass mall, Center Ice, Florida Hospital & the best Tampa Bay has to offer, Union Park is in a prime location. Homeowners have access to miles of nature trails & preserve, fitness stations, fire pit, dog park, playground, splash pad, excellent schools & a 4,000 sq ft open-air clubhouse w/resort style pool, covered cabanas, outdoor kitchen & more! Hedge on left side of home maintained by HOA.